Liverpool have been closely linked with Hoffenheim midfielder Kerem Demirbay over the past month. 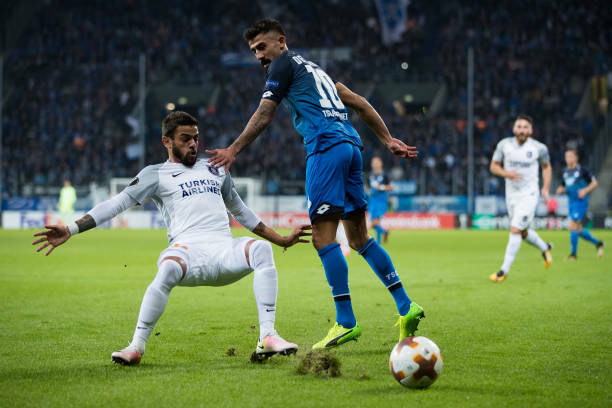 A source close to the player revealed to Turkish-Football that several clubs including Liverpool are set to send scouts to the Champions League clash between Hoffenheim and Lyon to keep tabs on Demirbay. The game will be played at the Wirsol Rhein-Neckar-Arena in Germany tonight. Scouts often attend major European competition fixtures but the Reds have a long-standing interest in the 26-year-old. Jurgen Klopp is familiar with Demirbay from his time coaching in Germany and the midfielder has been in impressive form since returning from a lengthy spell on the sidelines with injury. Demirbay is represented by the Arena11 sports group, who have Liverpool players, Sadio Mane and Naby Keita among their clients. The former Turkey U21 international did recently sign a new contract deal with Hoffenheim but it includes a £28m release clause option [Bild]. The midfielder of Turkish origin provided an assist over the weekend in the 3-1 victory over Nurnberg. Demirbay also setup the opening goal in the Match Day 2 clash against Manchester City which the Premier League champions eventually won 2-1. The Hoffenheim ace has two assists in five appearances in all competitions this season.